It has been a while, and I’ve felt the absence I’ve kept from this writing place. I’m grateful to have stolen some moments to return tonight. Baby Incredible came into my life on election night, about four weeks ago. It seems like it’s been longer than that because I have been so busy and so challenged and so stretched. I’m learning a lot. The “A.R.” on his formula canister stands for “Anti-Reflux”. No one warned me. Probably no one knew. Infants with reflux have an incredible ability to projectile vomit. 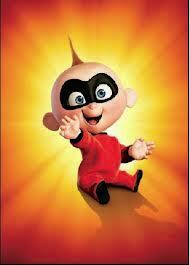 This is why I first dubbed him Baby Incredible. When you have an infant who spits up all the time, you do a lot of laundry. This becomes even more of a pain when you live in an apartment and have to share one washer and dryer with nine other units…and people leave their laundry in the machines for hours at a time. There are things you can do to help relieve the discomfort of the reflux and hopefully reduce the amount and frequency of the throw up. This is especially important because with all that throwing up, it can be hard for a baby to gain the weight he needs to grow healthy and strong. It also helps with the laundry situation. Infants with reflux can be fussier and want to be held more. When held, they need to be held in a more upright position so the reflux will not flare up. It is a terrible idea to lay a baby with reflux flat on his back…ever, even if it’s been hours since his last bottle. He will most probably still throw up. Pacifiers are incredibly important tools in relieving the reflux. No one involved with foster babies wants the responsibility of making a final decision. No one wants “the buck to stop” with them. This is why I often feel crazy after speaking to the people who are supposed to be advocates for Baby Incredible and supports to me, the foster mom. You have to be strong and persistent and willing to speak up to be a foster mom. This is God’s sense of humor because it is challenging to my social anxiety disorder that often instructs me to be quiet in lieu of speaking up, especially when it comes to saying things that might not be well received. You also have to be diplomatic and perceptive and willing to give grace. It is a balancing act. I would not be able to do it without God. (Philippians 4:13) There are rules that don’t make sense and questions that no one seems to want to answer and decisions that plain make no sense. There is always a fog of anxiety hovering because no one wants to be held accountable if a mistake is made or a bad decision executed. Birth parents are not always easy to work with. I was spoiled with Little Dude’s birth parents. They were easy to arrange visits with, willing to accept help, and grateful for what I was doing for their baby. What a wonderful first experience to have! I was surprised when I first realized what a different experience I would have the second time around, with Baby Incredible’s birth parents. I feel like they fight me every step of the way and are constantly looking for me to do something wrong…and it makes sense. They feel out of control because they don’t get to take care of their baby right now, and I do. Of course they would see me as the enemy. I get to do what they so badly want to do, take care of Baby Incredible. Single mom’s are heroic. They truly are. I was a product of a two parent home, and although I’ve known single parents, I’ve definitely never “walked a day in their shoes.” Now that I have, I have a respect for them that would never be possible without actually experiencing this single mom thing myself. Wow. I have the most incredible boyfriend in the world. He loves me and supports me in ways that amaze me day in and day out. He is strong and loving and thoughtful and supportive and brave and selfless. He stays by my side even when I am a tired, emotional mess. He wants to spend time with me, and he wants to be involved with Baby Incredible. This entry was posted in Uncategorized and tagged baby, foster, foster mama, foster mom, God, growing pains, growth, learn, learning, love, mama, mom, patience, peace on December 8, 2012 by mamamango.